In an interview on a late night program on private ATV television, Erdogan spoke about what he perceives as the damaging influence of social media. He said he would not let social media companies capture the nation and said measures would be introduced to crackdown on Facebook and YouTube following the elections this month. "There are new steps we will take in that sphere after March 30... including a ban," Erdogan said. "We are determined on this subject. 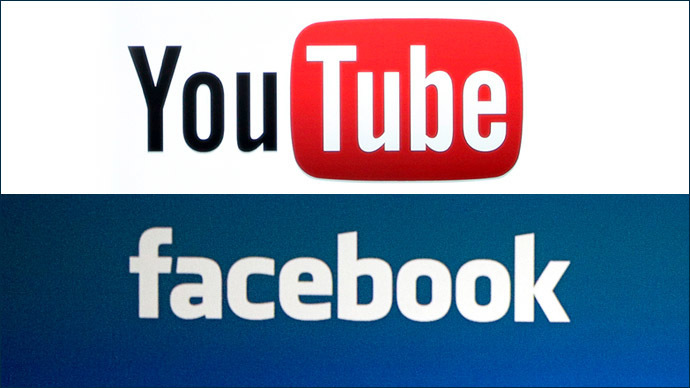 We will not leave this nation at the mercy of YouTube and Facebook." President Abdullah Gul spoke out against the idea, calling it “out of the question” in the statement. The Turkish President has the power to send laws back to parliament for reconsideration, but cannot do it more than once. Social media has been capitalized upon to disseminate links to Erdogan’s leaked telephone conversations that implicate him in corruption and graft. One of the latest leaks to emerge was a telephone conversation between Erdogan and his son where they allegedly discuss how to hide large sums of money. 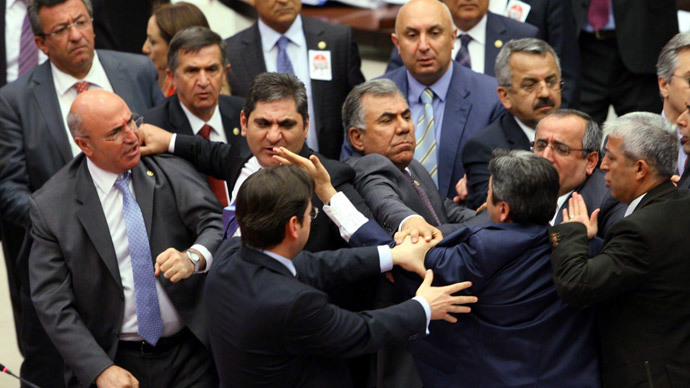 It is not the first time that social media has come under fire in Turkey. YouTube was blocked there between 2007 and 2010 at the behest of a court order over videos that allegedly insulted modern Turkey’s founder Mustafa Kemal Ataturk. 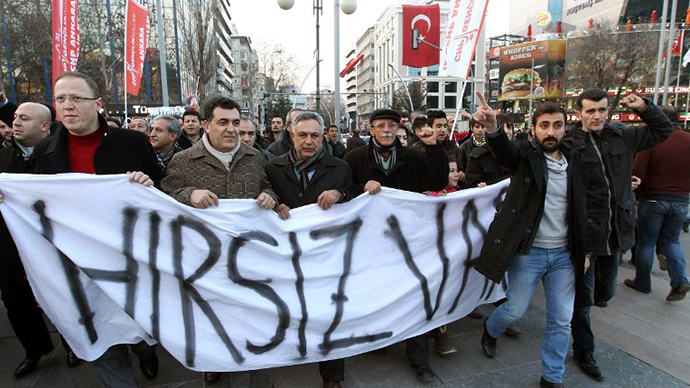 More recently, Erdogan branded Twitter as a “scourge” for helping organize last year’s nationwide protests. 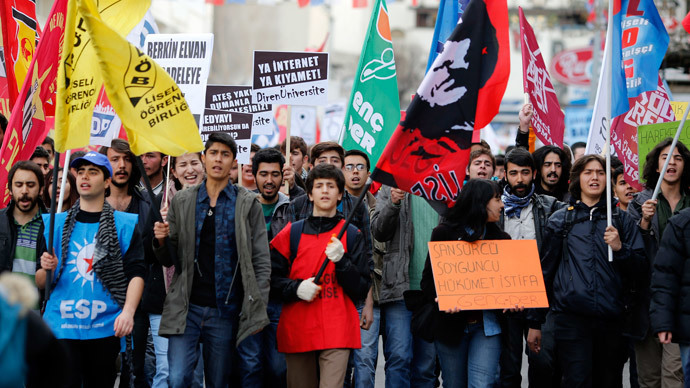 Turkey’s Ministry of Family and Social Policy has also put forward a bill that would introduce strict limits on the use of the internet and social media. The legislation stipulates an amendment that would allow government ministers to block websites deemed to infringe privacy, as well as force internet providers to retain information on their users, for up to two years. Erdogan’s government has been embroiled in scandal recently following a high-profile corruption investigation that triggered the resignation of three ministers and a cabinet reshuffle. Erdogan claims the probe is an attempt by his political rivals to discredit his government. In particular, he has pointed the finger at US-based Turkish Muslim cleric Fethullah Gulen, who he claims is behind the “fabricated” audio recordings that have been posted online. Gulen has denied the accusations and his followers have criticized Erdogan of attempting to divert public attention from the corruption scandal. The PM, however, continues to push to open a case against the self-exiled cleric in a move that could open the door to his extradition from the US. In spite of the corruption scandal, Erdogan claims that the elections later this month will reaffirm the popularity of his Justice and Development Party (AK) with the Turkish people.